Did you know that the peninsula of Howth was originally an island? The headland of Howth lies to the North of Dublin Bay and is reached on a narrow spit by road or (our preference for groups) by the frequent DART service. Wander along the pier and indulge in a traditional ‘One and One’, aka fish and chips, with lashings of salt and vinegar while the friendly seals play in the water. If you’re feeling adventurous you can embark on a Dublin Bay cruise from the pier at Howth or go on Howth’s famous cliff walk for a bracing journey around the headland. The views are simply stunning so don’t forget to bring your camera. 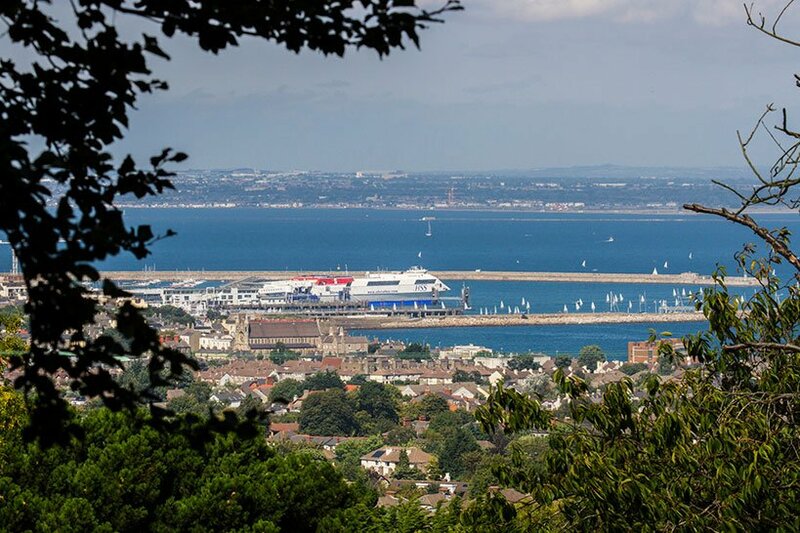 On the opposite, Southern side of Dublin Bay is Dun Laoghaire. Formerly known as Kingstown, it used to be one of the major ports for the British Empire in Ireland and a Victorian seaside resort. You can get a flavour for this Victorian heritage by wandering through the People’s Park, we highly recommend visiting at weekends so that you can take full advantage of the food market. Don’t leave without visiting the Maritime Museum which is sited in a restored church. The exhibits really give you an appreciation of how difficult it has been to work on the sea in the past and present. Finish up your day with a cone from Teddy’s Ice Cream stall on the East Pier which has been in operation for over half a decade. 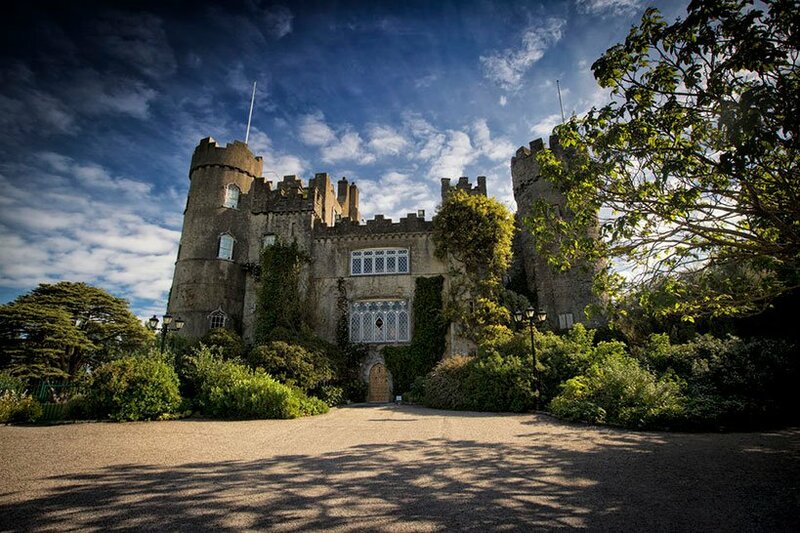 Home to one of the most popular stately homes to visit in all of Ireland, Malahide Castle was the seat of the Talbot Family for many centuries. Visitors from Australia might recognise many of the placenames in the area as the Talbots subsequently moved to Tasmania! The castle and gardens are perfectly suited for groups with tours and a beautiful coffee shop, with plenty of open areas to picnic. The village itself is situated alongside a modern marina and has plenty of excellent restaurants to choose from. Just a walk along the seaside between Malahide and Portmarnock on a blustery day will blow away the cobwebs. 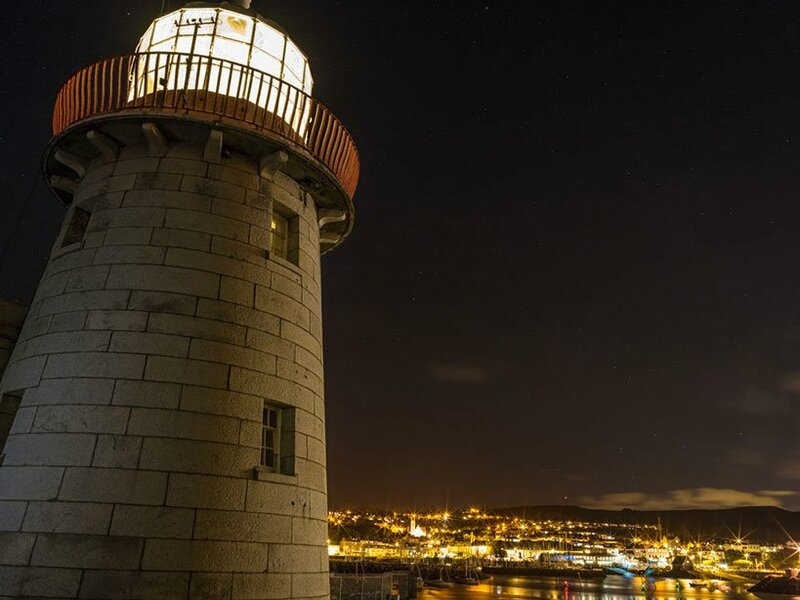 If you’re interested in star-spotting then look no further than Dalkey. Vico Road with its breathtaking views across Dublin Bay is home to Bono, while The Edge along with Van Morrison also live close by. Carefully make your way to the Hawk Cliff via the Vico Road to see the hardiest visitors indulging in a fresh sea swim. 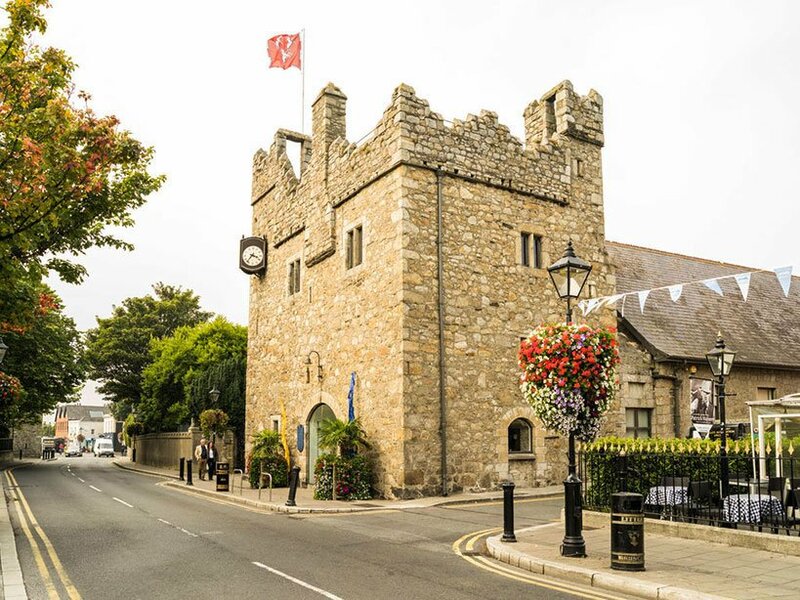 If you’re feeling a little less outdoorsy or the weather is inclement, head to the Dalkey Castle and Heritage Centre for costumed reenactments and performances. From Coliemore Harbour, Dalkey Island is a mere 5-minute boat ride away, where you can check out the ruins of a Martello Tower, and see the unspoiled wildlife along with church ruins. Also nearby is Killiney Hill which boasts breathtaking views over south Dublin. 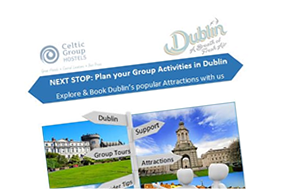 All of these activities offer a welcome escape from the hustle and bustle of Dublin City Centre. Named for the small islands dotted around the harbour, St Patrick himself landed at Skerries on the Church Island many, many centuries ago. 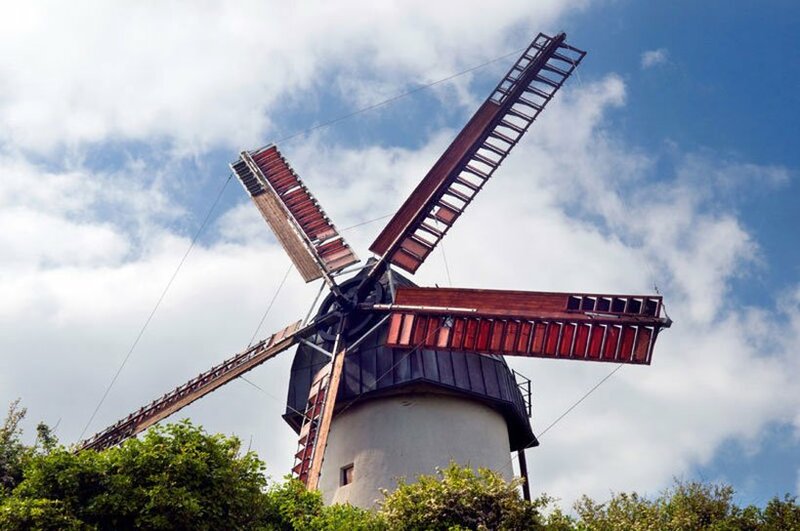 Skerries is home to two windmills, while they are not in continuous operation, they are part of a working museum. Skerries Mills also boasts an extremely popular coffee shop where you can often catch live music and a picturesque millpond. Back in the town itself, there are oodles of seafood restaurants to pick from on the pier. Then if you’re willing to travel slightly further North from Skerries, Ardgillan Castle sweeps down to the sea and can be accessed via the Ladies Stairs if you’re arriving by public transport. Your group will also enjoy the walled garden here, the abundance of open space, the views and the walking trails.